The great state of Kentucky is known and celebrated for its racehorses, bourbon and college basketball. However, few take the time to recognize the impressive and world-record breaking caves concealed by the Bluegrass State’s rolling hills. Known as “Cave Country,” Kentucky is home to Mammoth Cave, the world’s largest known cave system. In fact, Kentucky’s Mammoth Cave, one of our favorite sites to see in Cave Country, pummels the competition. 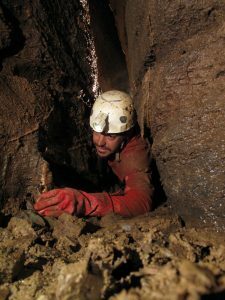 It extends over twice as long as the runner-up cave system in Mexico. In 1941, 52,830 acres of land in central Kentucky became Mammoth Cave National Park. The cave system, officially called the Mammoth-Flint Ridge Cave System, extends over 400 miles under the state of Kentucky. 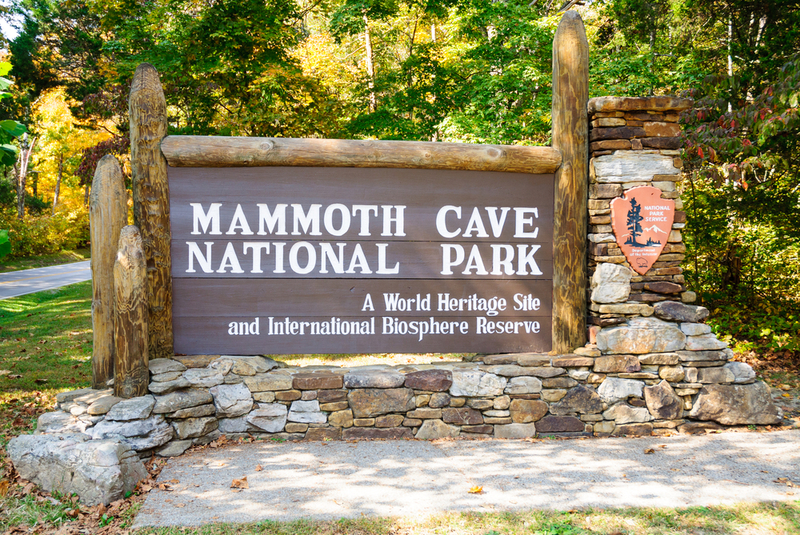 The sheer size and grandeur of the cave evoked its fitting name: “Mammoth.” The cave has an extensive human history dating back over 6,000 years through Native American remains and artifacts found inside the cavern. Since established as a protected National Park, World Heritage Site and International Biosphere Reserve, the cave allows for multiple guided tours ranging in length from one to six hours. Tour guides cover varied highlights or topics within the cave. For the more adventurous, the Park offers a tour in a section of the cave that is not electrically lit. 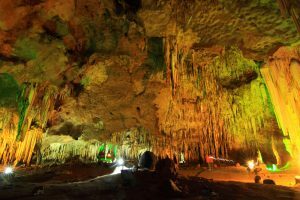 Visitors carry only lanterns to illuminate the cave’s natural art. Additionally, for serious thrill seekers, the park offers a Wild Cave Tour. This guided tour involves strenuous hiking, crawling, squeezing and canyon walking through the cave’s dark and twisted passages. 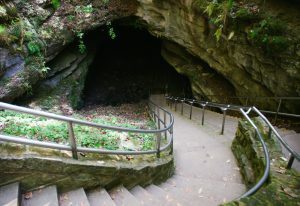 Mammoth Cave National Park also offers several miles of above- ground hiking and wilderness programs. Of course, Mammoth Cave isn’t the only cave to tour in Kentucky. The state’s karst landscape yields many other accessible cave locations. The Lost River Cave, located in Bowling Green, is home to the only underground boat tour in the state. On this hour-long tour, you’ll ride a boat down The Lost River through the seven-mile Lost River Cave system. So grab your headlamps and some adventurous friends to explore one of Kentucky’s most amazing natural wonders!